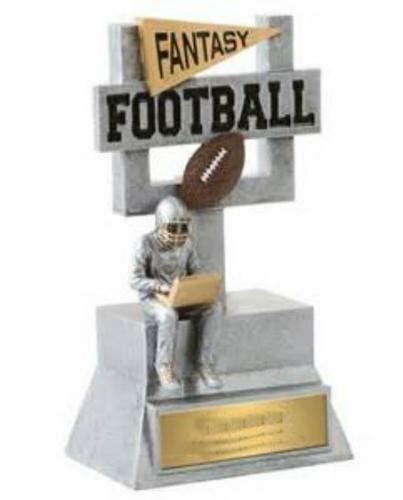 Everyone in your Fantasy Football league will work even harder to be your league champions and bragging rights when they see this incredible sculptured award. This silver and gold sculptured award stand 7" tall. 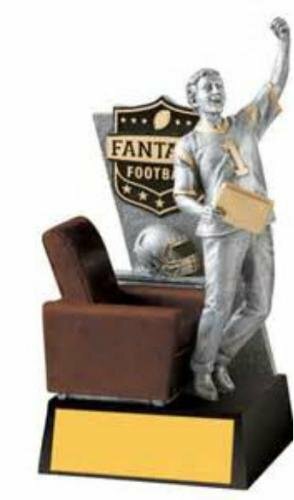 Everyone in your Fantasy Football league will work even harder to be your league champions and bragging rights when they see this sculptured award. 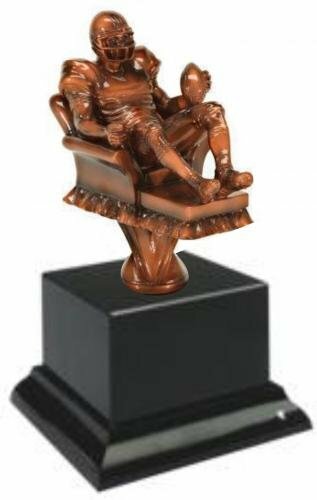 This 12" sculptured award features an armchair player with his tablet in his hand. Everyone in your Fantasy Football league will work even harder to be your league champions and bragging rights when they see this incredible trophy . 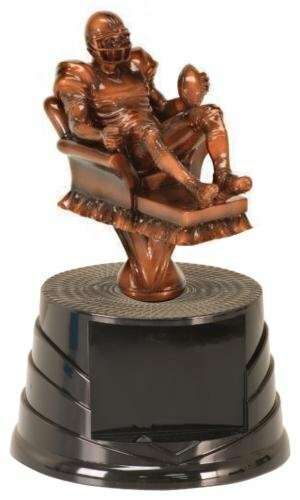 The rich bronze colored figure depicts an arm chair quarterback sitting in his favorite chair, football in one hand, remote control in the other and his team helmet and jersey complete the look! This award stands 8" tall and the beautiful black marble base provides plenty of personalization area for what ever your needs might be. 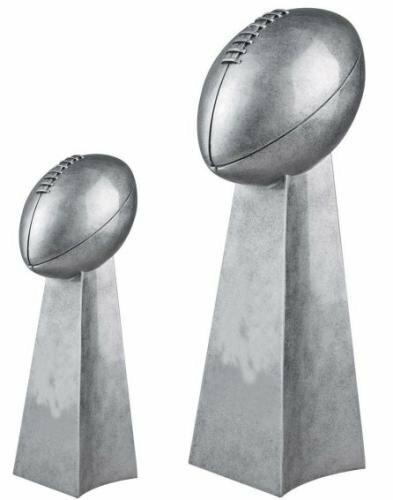 This silver championship tower comes in two sizes - 9 1/2" and 14".